5 Stars … Our first review of a fiction book and what a delight it was. Kate Cunningham is a partner with a Manhattan law firm whose life becomes chaotic when she finds a note that reads, “Your father is dying. Come home at once.” Accompanied by her faithful Siamese cat, Honore’, Kate is propelled into a journey of synchronistic and mystical experiences that will have a transformational effect on her life. Kate’s trip to see her father takes her to her childhood home in Angel Falls. There she is reconnected and welcomed home by Andrew and Bella who help care for her father’s house and estate. Andrew and Bella are a very sweet and caring couple who have known Kate since she was a little girl and they care for her deeply. Upon returning to her childhood home, her life begins to unravel. As if dealing with a dying father isn’t enough, she receives a phone call from her law firm’s managing partner, Mr. Blackwell. After receiving career threatening news from him, it gets much worse for Kate. She soon receives a letter from her father’s attorney. The contents of the letter are even more devastating to Kate. With the help of Bella and Andrew, Kate is introduced to the eccentric Lucina des Anges. Lucina is known as “The Lady of Angel Abbey.” The Abbey is a magical place where many people seem to find whatever they need most. Bewildered by the Abbey and inspired by the people she meets there, Kate remains untrusting of Lucina. 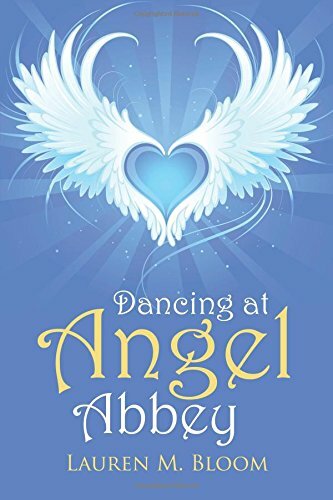 What Kate doesn’t know is the Archangel Gabriel is guiding her toward her destiny and he isn’t the only one. All the Archangels are sharing their wisdom, tough love, and blessings with Kate and the reader. 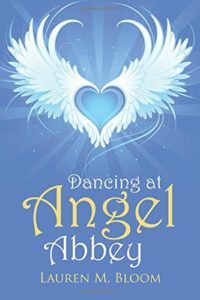 With the help of the Archangels and the magic of Angel Abbey, Kate is on a collision course with her destiny. This is where the magic of her true self-discovery begins to occur. As a shaman who believes in a spirit world and one who knows the help we receive from kindred spirits, it was very enjoyable to read the lessons and wisdom imparted from the Archangels. Ironically, it was also difficult for me since I don’t embrace Christianity as my religion. However, having a belief in Christianity or angels is irrelevant to one’s enjoyment of this book. What matters most is this book is inspiring and leaves the reader with reminders of universal truths regarding life, death, love, kindness, forgiveness, and more. A fictional book isn’t usually my first choice for reading, but this book was an exceptional treat. I absolutely loved the book and its characters, whom I missed after I had finished reading it. It would make an excellent movie script and builds to a climax that would make Hollywood proud. Winner for New Age Fiction – 2016 International Book Awards.